This week, the tech industry held its annual Consumer Electronics Show in Las Vegas, Nevada. Packed with all of the latest gear and gadgets from just about every AV brand on the market, the show set the stage for many of the major home theater products and technologies we can expect to see throughout the next 12 months and beyond. With a seemingly endless lineup of new gear littering the exhibit space, manufacturers strutted out a wide-array of showstoppers, highlighting everything from a bevy of new 8K panels to a rollable TV and a massive 219" Wall MicroLED display. Building upon the gorgeous 146" model the company debuted last year, Samsung is now bringing its MicroLED tech to a more mass market friendly screen size. This new 75" MicroLED 4K TV features a unique modular design consisting of individual tiles made of self-emissive MicroLEDs. These MicroLEDs feature millions of inorganic red, green, and blue microscopic LED chips which are capable of producing their own light -- resulting in a superior contrast ratio and near perfect color. Basically, the tech has the potential to offer all of the black level and viewing angle benefits of an OLED panel while also providing greater brightness capabilities and less risk for burn-in. There's still some questions about how well MicroLED displays will hold up to more critical home viewing conditions (visible seams between modules could be a key drawback), but based on what we've seen so far, this is definitely the most promising and exciting 4K TV tech of the show. Pricing & Availability: No word on either yet, but the display is expected to be released this year. More details will likely be announced in March. 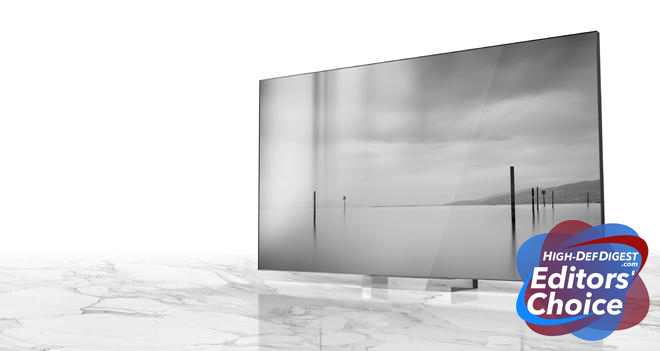 To be honest, we're still not quite sold on the necessity for an 8K resolution panel just yet, but when a TV looks as good as LG's new 8K Z9 88" OLED, it's hard to argue with the results. Powered by the company's new Alpha 9 Gen 2 Processor, the display is able to use a deep learning algorithm to optimize picture and sound quality based on the source content being played, along with the ability to adjust its tone mapping curve and screen brightness to better match ambient lighting conditions in a user's room. Likewise, while there isn't really any native 8K content to watch right now, the set's advanced processing capabilities offer 8K upscaling and improved noise reduction to improve lower resolution videos. Add in support for HDR10, Dolby Vision, and HLG, along with the superior black levels and contrast that OLEDs provide, and the Z9 is shaping up to to be the 8K TV to beat in 2019. Pricing & Availability: An exact price has not been announced yet, but early adopters looking to jump into the 8K market can likely expect to pay a pretty high premium for those extra pixels when the TV launches sometime later this year. 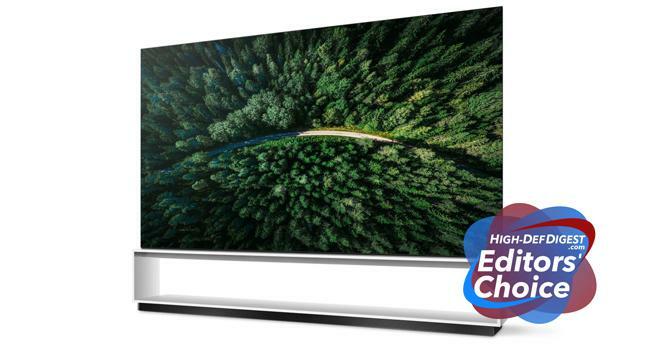 Offering a nice upgrade over the company's 2018 iteration, the newly improved 2019 M-Series now boasts Quantum Color with quantum dot technology for superior wide color gamut support. In addition, the company has also upped the number of full array local dimming zones for this year's sets, providing up to 90 zones. Likewise, select 55-inch and 65-inch models also include UltraBright 600 capabilities for up to 600 nits of peak brightness with HDR10 and Dolby Vision support. 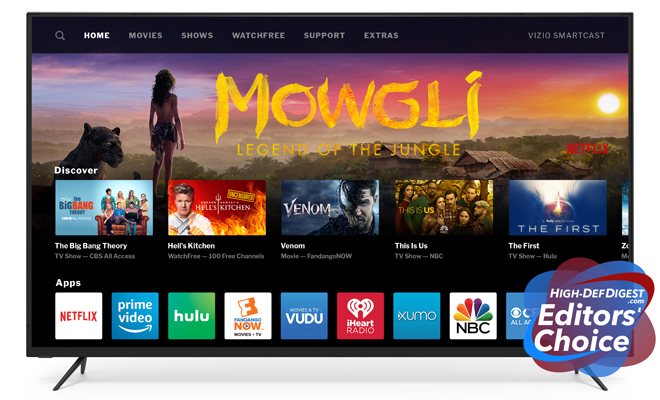 And like all 2019 VIZIO TVs, the display includes SmartCast 3.0 with access to many popular streaming apps, along with support for Apple AirPlay 2, Chromecast built-in, Siri, Google Assistant, and Alexa. Basically, if VIZIO can maintain its trademark competitive pricing, the 2019 M-Series is poised to be one of the best 4K HDR values on the market. Pricing & Availability: Prices have not been detailed yet, but the 2019 M-Series is set to launch this spring with sizes ranging from 43-inches to 65-inches. 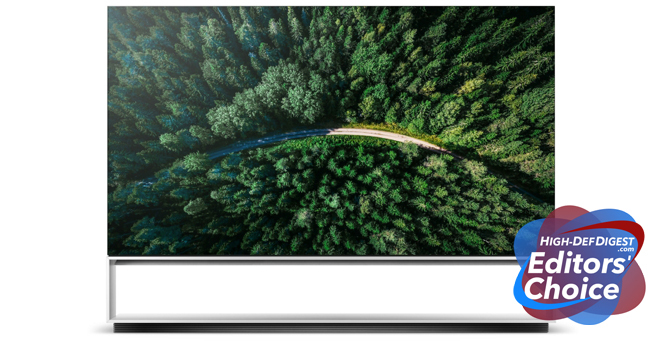 Honorable Mention: Though previously available in 55-inch and 65-inch screen sizes, TCL launched pre-orders for a new 75" 6-Series 4K HDR Roku TV at CES 2019. With HDR10, Dolby Vision, wide color gamut support, full array local dimming with 160 zones, and a very attractive MSRP of $1,800, the 75R615 is now easily one of the best TV values around. Serving as the next step in the company's Laser TV lineup, the new 100-inch TriChroma Laser TV (100L7T) from Hisense uses a proprietary X-Fusion Laser Light Engine which combines independent red, blue, and green lasers. The results? According to Hisense, a short throw projector capable of producing a wider color gamut than any other current consumer display product... period. With that in mind, the 100L7T is now the first of its kind to achieve Rec.2100 (Rec.2020 color space with HDR extensions). In addition, the system utilizes a TI DLP Chip, and offers 3,500-lumens of brightness and a micro-smooth Response Time. Finally, an Ambient Light Rejecting Screen and Harman Kardon audio round out the package, blending much of the simplicity of a standard smart TV set with the immersion of a larger projector system. Pricing & Availability: No word on either yet, but if the projector does make it to market in 2019, it likely won't be until later in the year. As the only 2019 4K Blu-ray player announced so far with both Dolby Vision and HDR10+ support, the upcoming Panasonic DP-UB450 should satiate all high dynamic range needs. In addition, the unit features High-Resolution Audio playback (DSD 11.2MHz/5.6MHz/2.8MHz, ALAC, FLAC, WAV, AIFF), dual HDMI outputs for separate video and audio transmissions, and a digital audio output (coaxial), along with Dolby Atmos and DTS:X capabilities. Pricing & Availability: Alas, like most of the products on this list, pricing and a release date have not been revealed at this time. 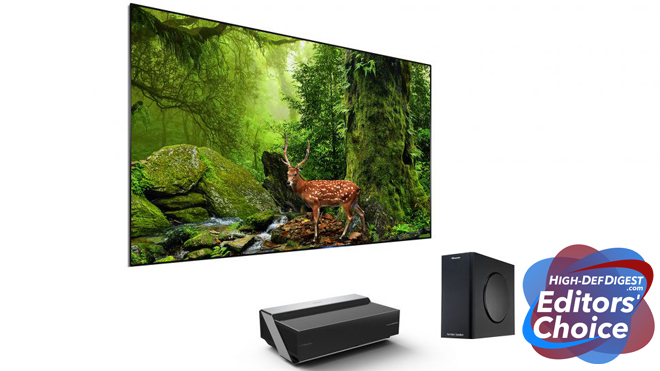 Offering Dolby Atmos and DTS:X capabilities, LG's SL10YG is a 570W 5.1.2 audio system with front left, center, front right, side-firing left and right, and upward-firing speakers all integrated into one sound bar unit. Likewise, the package includes a wireless subwoofer and support for Meridian Audio's Image Elevation technology and Meridian Upmix technology. In addition, users can extend the soundfield even further by adding LG's optional Wireless Rear Speaker Kit (model SPK 8), creating a 7.1.2 system. Finally, AI smart connectivity and voice recognition features are implemented as well via integrated Google Assistant support, allowing users to control the sound bar and search for information through voice commands. Pricing & Availability: Sadly, no details on price yet but the sound bar will likely start shipping this spring. Want Hi-Fi surround sound without having to buy an AV receiver or needing to run a bunch of speaker cables throughout your home? Well, a WiSA compliant device might be exactly what you're looking for. WiSA tech offers support for wireless audio transmission of up to 8 channels of uncompressed 24-bit audio, including immersive audio formats like Dolby Atmos and DTS:X. Likewise, the tech's network performance offers superior latency over standard Bluetooth and Wi-Fi at just 5ms of lag time. With a WiSA compliant TV, like one of LG's new flagship 2019 displays, users can enjoy wireless audio with low-latency speaker synchronization and hi-fidelity sound via WiSA USB Transmitters and a variety of WiSA Certified speakers, including Klipsch's upcoming 5.1 Powered Wireless Home Theater System -- all without a separate amp or pesky speaker wires. Pricing & Availability: LG's upcoming WiSA compliant flagship OLED and NanoCell TVs are set to launch in the spring. 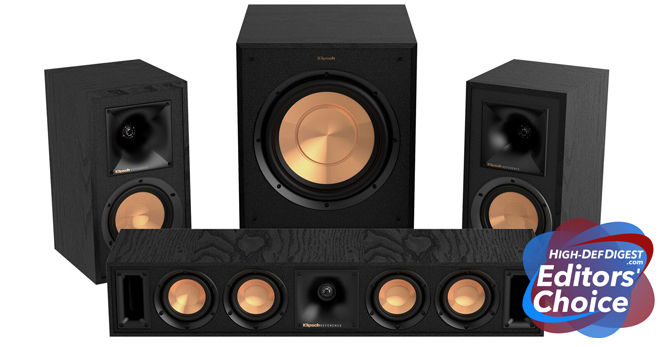 Meanwhile, Klipsch's second generation 5.1 Wireless Home Theater Speaker System is expected to arrive early this year for about half the price of the company's first generation models. So, there you have it. Those are our top picks for the very best products at CES 2019. From MicroLED displays to wireless surround sound, there was no shortage of showstoppers in attendance. For now, though, what do you think of our selection? What new gear and tech announcements are you most looking forward to? Let us know your thoughts in the forums!